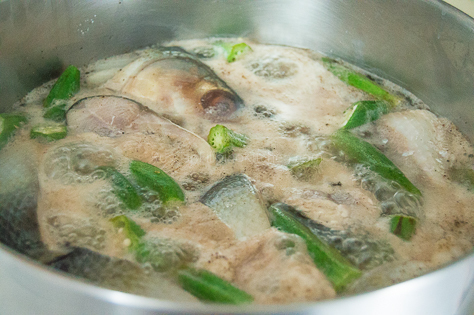 Milkfish, or “bangus” is the national fish of the Philippines. 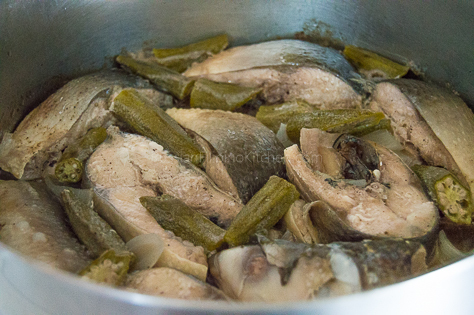 Despite being a bony fish, its distinct flavor makes it a favorite among Filipinos. Rich in polyunsaturated fatty acids, also known as omega-3, it is an important part of a healthy diet. I personally love fish especially bangus. Growing up in a coastal town, I ate fish everyday. 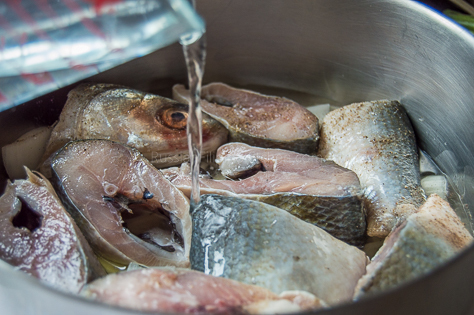 My favorite way of cooking fish is “inun-unan” or fish stewed in a concoction of vinegar, water, garlic, and spices. The Tagalog term for “inun-unan” is “paksiw“, which is easier to say and spell by the way so we’ll stick with the word. 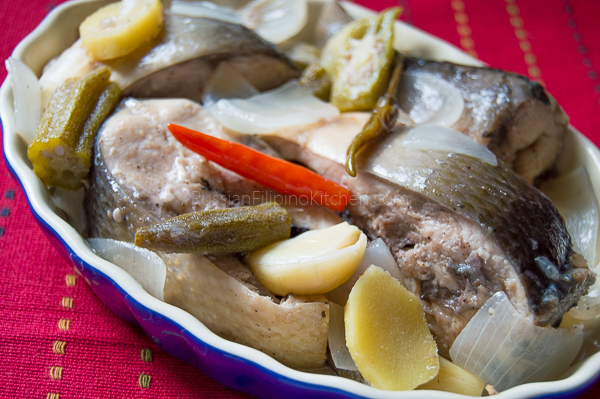 “Paksiw na bangus” or simply “bangus paksiw” is a beloved Filipino fish dish. 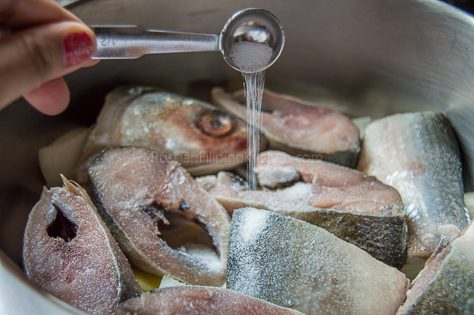 In cooking paksiw, the milkfish is cut into serving pieces bone-in. 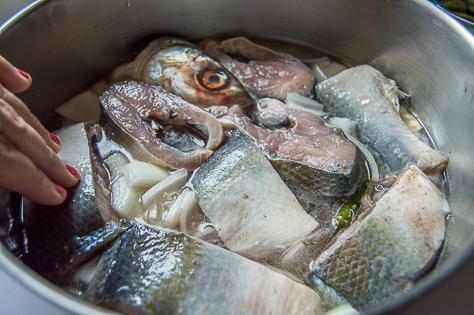 The rest of the ingredients are thrown into the pot and allowed to boil then simmered until the liquid reduces and the flavors from the fish, vinegar, and spices wonderfully combine. I often add some peppers, sliced eggplants, okra, or bitter melon into the pot to give the dish an additional boost of flavor. Pair it with white boiled rice and vegetables on the side and I’m one happy gal! 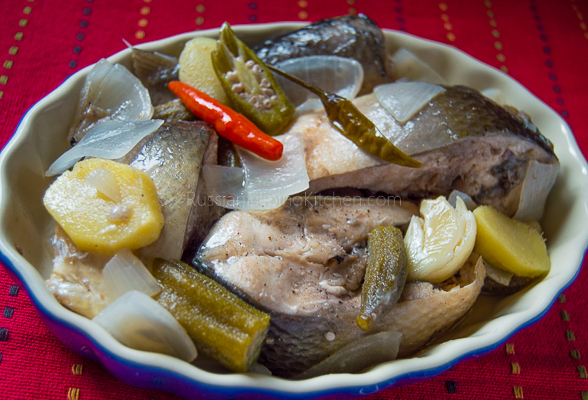 If you love fish and haven’t tried fish paksiw yet, I encourage you to try this recipe. I’d like to remind you though that milkfish has a lot of bones, so exercise caution when eating. 1. On the bottom of a large cooking pot, arrange garlic, onions, ginger, and Thai chilis. 2. Arrange fish slices in one single layer. 5. 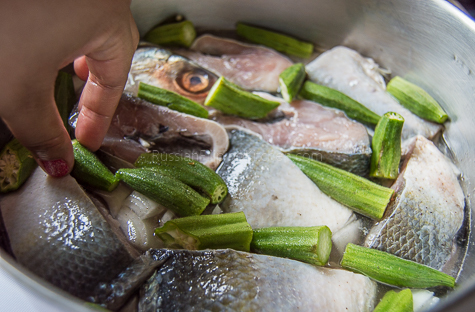 Place okra along the sides of the fish where it will have contact with the water-vinegar mixture. 6. Cover pot and bring to a boil over high heat. 7. 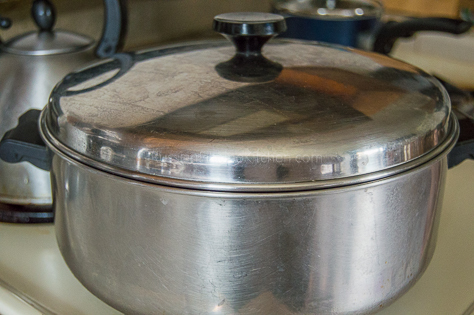 Once it starts boiling, turn down heat to medium low and put the lid back on. Simmer for 45 minutes or until the liquid has reduced. 8. Allow to sit for a little bit before serving. Best eaten with warm, boiled, white rice. 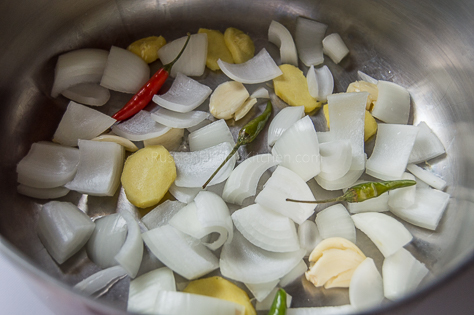 On the bottom of a large cooking pot, arrange garlic, onions, ginger, and Thai chilis. 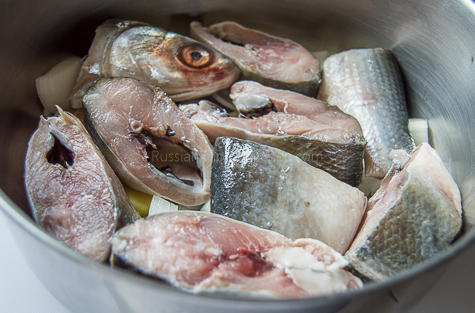 Arrange fish slices in one single layer. 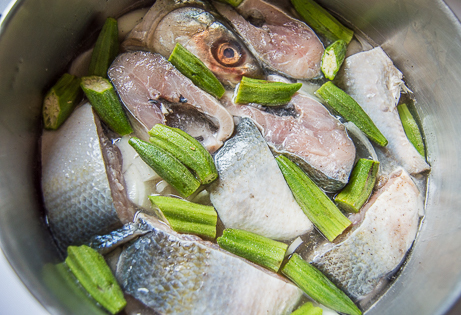 Place okra along the sides of the fish where it will have contact with the water-vinegar mixture. Cover pot and bring to a boil over high heat. Once it starts boiling, turn down heat to medium low and put the lid back on. Simmer for 45 minutes or until the liquid has reduced. Allow to sit for a little bit before serving. Best eaten with warm, boiled, white rice. 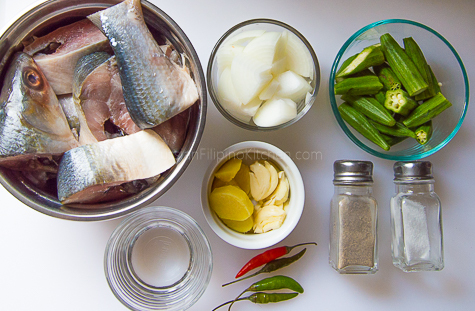 Hi Mia, this milkfish dish looks tasty! The combination of the fish and okra sounds delicious!